In my blog, ‘the sweet smell of success‘, I discussed the use of ionic liquids – salt in a liquid state as a result of poor ionic co-ordination – in perfumes and alluded to other fields of research where they are used. Today I’m delving a little further and shining a light on the use of ionic liquids in biofuels. Researchers at North Carolina State University, US, (NCSU) are investigating the use of ionic liquids to strip lignin from plant cells. Their aim is to find a cost-effective method of processing biomass for biofuel production. Lignin is a complex phenolic polymer that is found in plant cell walls. It plays an important structural role, providing the plant with strength and rigidity due to a cross-linked structure that is difficult to break down. After cellulose, it is the most abundant source of renewable carbon on earth. Ionic liquids may offer a way forward. Normally, lignin is broken down by reducing biomass to a small particle size and treating it with an acid or an akali to release the cellulose in a process described as kraft pulping. This is commonplace in the papermaking industry. The NCSU team, led by Ezinne Achinivu, a PhD student in the department of chemical and biomolecular engineering, has published an article in the journal Green Chemistry describing Lignin Extraction from Biomass with Protic Ionic Liquids. The focus of Ezinne’s research involved formulating a range of low-cost biomass pre-treatments using ‘protic ionic liquids’ (PILs). 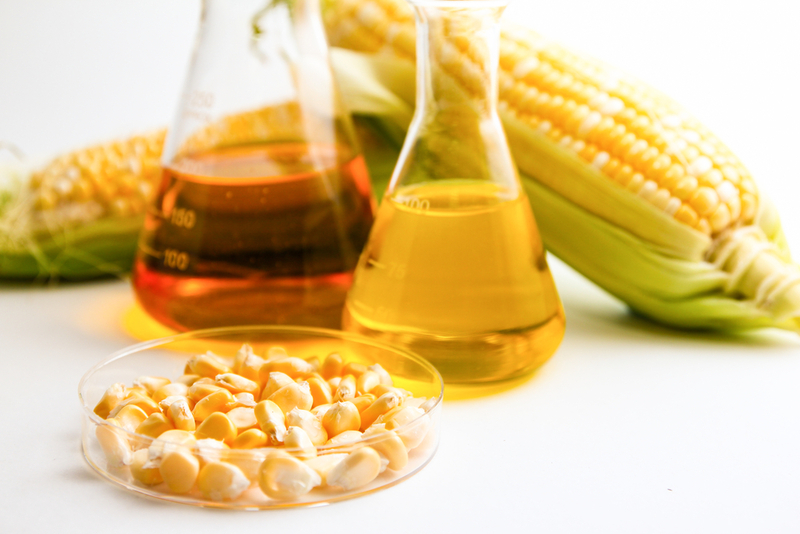 The research team used corn stover – a residue from maize production – as their biomass surrogate. They mixed samples of the biomass with the PIL, causing the lignin to dissolve and leaving a cellulose rich residue which is readily processed into sugars and, subsequently, to bioethanol. PIL-lignin mixtures can be separated by conventional distillation. The PIL can be recovered and reused. The lignin is left behind as a black powder. 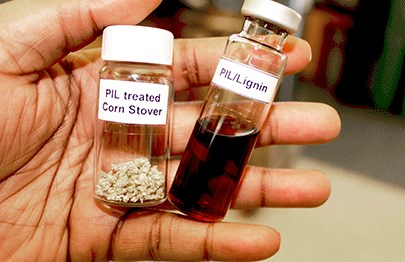 This process for isolating lignin may be very significant, because at present the economics of bioethanol production from corn stover are challenging. However, ligin is a potential building block for higher value chemicals. The development of effective pretreatment processes for biomass feedstocks is an important step on the journey to the next generation of biofuels. Ezinne’s work is adding to our understanding of the role of PILs and their potential as cheap and effective pretreatments for other biomass feedstocks. Lignin is a complex molecule and its structure varies from one plant species to another. The action of PILs needs further research in order to determine the most effective formulation for different types of biomass, including forestry waste products. Improving small-scale, high-efficiency biomass conversion technologies can facilitate the development of more sustainable advanced biofuels and bioderived feedstocks. If you are working with biofuels why not get in touch and tell us about your research.